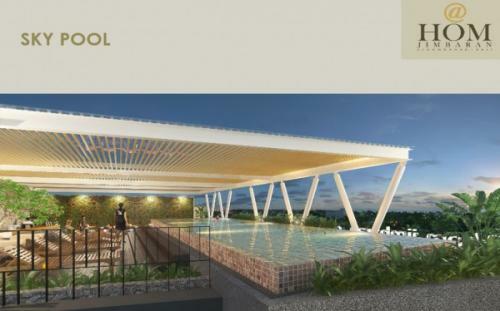 Facility: Lobby Lounge, Sky Pool, Sky Cafe, Restaurant, Meeting Rooms & Multifunction, High Speed Wi-Fi Access, Passengers Elevators, Security System & CCTV, Fire System. 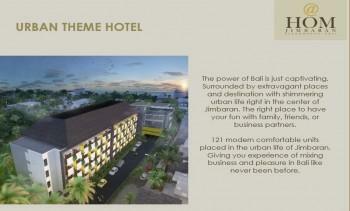 Additional Info: For Sale Condotel @HOM Jimbaran Bali by Horison Group Hotel. 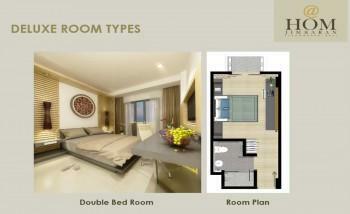 Price include : fully furnished, notarial fee (PPJB & AJB), certificate right to build, building permit, TAX 10%. Price exclude : BPHTB. Developer : Amanah Propertindo Project. Concept : City Hotel Supported with MICE. 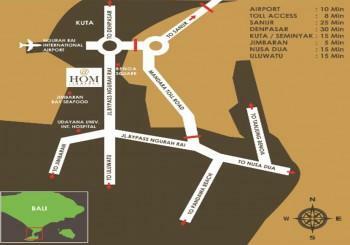 Land Area : 5,300 sqm, Building Area : 7,337 sqm. Number of Floors : 1 basement + 5 floors. 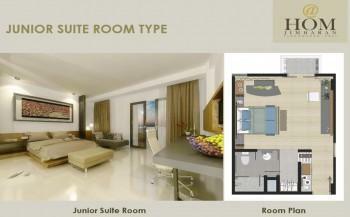 Number of Rooms : 121 rooms (113 Deluxe Room – 37.47 sqm & 8 Junior Suite Room – 55.02 sqm). Ownership : Strata Tittle. Lease Hold Prime Benefits : Free Maintenance & Service Charge. Well-known hotel operator, strategic location. 30 free stay points passive income investment. 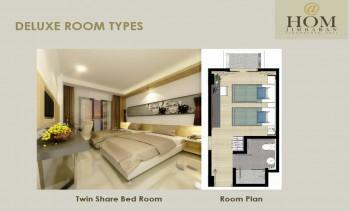 Fully furnished, buy back guarantee 130%, fixed income guarantee 24%. Net room revenue sharing 50% – 50%. Booking fee : Rp 25.000.000. Good investment – Book now. Please call for more information.